"There's something so alluring about vintage jewelry. When you hold a piece in your hand and marvel over the craftsmanship or the thought of what it has survived through and who might have worn it, you can't help but feel a sense of awe and respect. 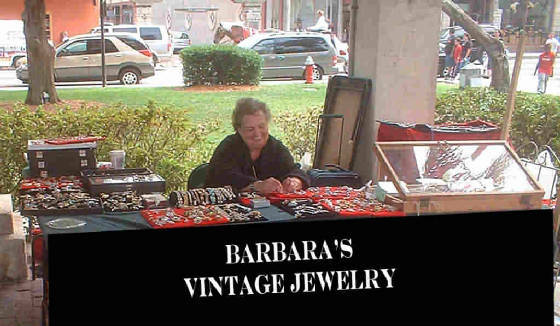 It seems to exude a classic quality that is hard to find these days"
You will find Barbara at the Slave Market on Saturdays and Sundays.